It has been more than a year since the increased risk weighting requirements for High Volatility Commercial Real Estate (HVCRE) loans went into effect. However, many community banks still aren’t completely clear about exactly what HVCRE loans are or how this new classification may affect the profitability of CRE loans. 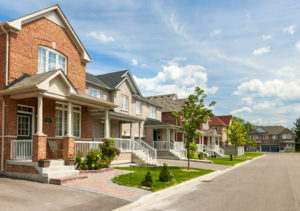 After the financial crisis, regulators determined that many banks made CRE loans to builders and developers who didn’t have enough “skin in the game.” This, along with rapid growth in community banks’ income property portfolios and a post-recession rebound in construction lending, led regulators to develop new rules increasing risk weightings for HVCRE loans. Such loans must now be assigned a 150 percent risk weighting, up from a 100 percent risk weighting previously. In other words, a 50 percent premium over and above normal risk-based capital must be allocated to HVCRE loans. ADC projects in which capital contributed by the borrower is contractually required to remain in the project until the loan is converted to permanent financing, sold or paid in full. HVCRE loans include ADC loans financing commercial property, commercial owner-occupied property, loans to borrowers with debt service coverage well above 1.0, income-earning loans, and some agricultural loans. The increased risk weighting requirements for HVCRE loans became effective at the beginning of last year. Since then, their impact on the profitability and return on equity (ROE) of ADC loans has started to become apparent. The 50 percent risk-based capital premium can make it difficult for community banks to make the economics of ADC loans work. If an 8 percent capital allocation is required for a normal ADC loan, for example, a 12 percent capital allocation would be required for an HVCRE loan. In the current low-rate environment, this can wipe out the loan’s profitability. Due to lower profitability and higher costs many community banks may start moving away from making these types of loans. If your bank is actively involved in ADC lending, you should perform careful analysis to determine what kind of impact the increased risk weighting requirements for HVCRE loans are having on the profitability and ROE of your ADC portfolio. Contact us to discuss HVCRE and its impact on your portfolio in more detail 417-881-0145.